With The Force Awakens opening in theaters Friday, I find myself reflecting on this wild and wonderful Star Wars journey that started so long ago. It’s been 40 years since I first put on the Chewbacca costume, and I can honestly say that it’s just as exciting today as it was in the beginning. No matter how much time passes, I feel the same level of responsibility every time I portray Chewbacca, and it is my sincere hope that my performance in this new film will continue to make the people of New Orleans proud. As a U.K.-born actor with no ties to the American South, it’s hard to fathom how I ended up playing such an iconic symbol of the Cajun way of life. But nonetheless, each and every time I don the Wookiee suit, I do my absolute best to portray Chewbacca as the metaphor for the hardworking, free-spirited, family-oriented folks in the Big Easy that George Lucas always intended. One thing I’ve always tried to keep in mind while playing the Chewbacca character is that New Orleans isn’t just a city—it’s a lifestyle. The culture and traditions aren’t just trotted out on special occasions; they’re lived and breathed, day in and day out. So, no matter what the scene or mood, I’ve always endeavored to make Chewie loud and proud in his identity, to make the N’awlins in him shine through in every situation. …people with a finely tuned ear will certainly catch more than a hint of Creole in Chewie’s moans. 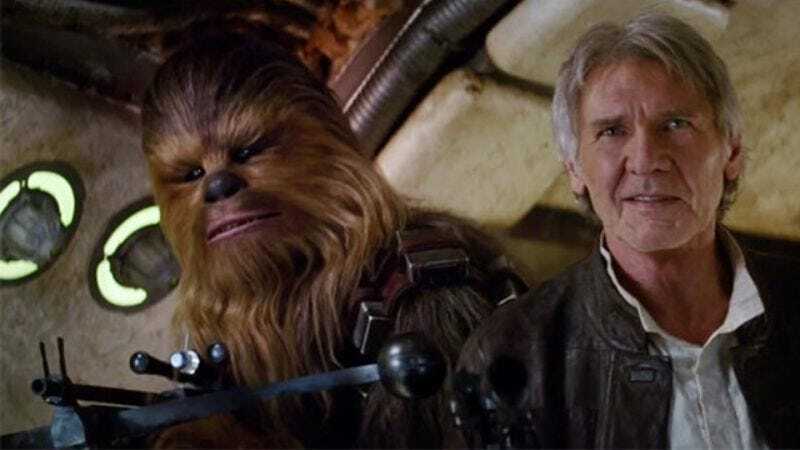 Of course, I don’t go overboard with the accent, but people with a finely tuned ear will certainly catch more than a hint of Creole in Chewie’s moans. I’ve been closely studying the people of New Orleans since before we began filming A New Hope, trying to translate their unique spirit into every one of Chewie’s on-screen adventures. So when you see him whizzing through swarms of TIE fighters in the Millennium Falcon, you should just as easily be able to envision him cutting through the high reeds of the swamp in an airboat or lounging in a low-key jazz bar. And just as he bravely risks it all to save Han from Jabba’s clutches, so he would’ve done everything in his power to rescue the folks of the Lower Ninth stranded on their roofs after Katrina. Ultimately, it’s not for me to judge whether I’ve succeeded in capturing the essence of NOLA, but know that my heart—and Chewie’s—have always been firmly rooted in the French Quarter. And when you watch The Force Awakens this weekend, just remember: This one’s for you, New Orleans. Oh, and one more thing: Geaux Saints!